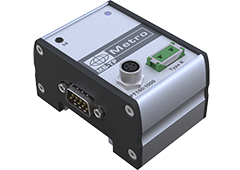 Continuously improved and developed since 1996, Metro' M-bus allows to connect numerous gauging probes and instruments from various brands and technologies to the Metro display units. 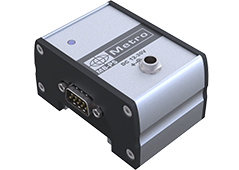 It allows the user to keep probes already owned and give him extended functionalities and performances by using a Metro display. The M-Bus is mechanically and electrically compatible with the Solartron Orbit bus. The M-bus is based on a RS485 link that gives the possibility to have important distances between the displays and the transducers without lost of signal. 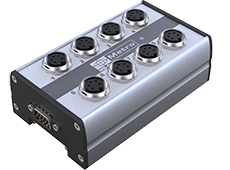 The module's enclosures and electronic have been redesigned in 2012 to offer the best performance to users. 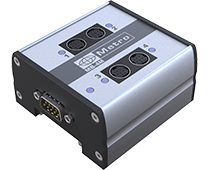 The M-Bus modules are today made out of anodised extruded aluminium profile that can be clipped on a standard DIN rail. It is very adapted to be used on a severe industrial environment. 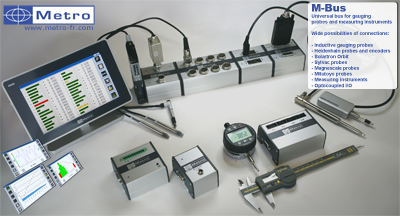 Below is a list of available modules. 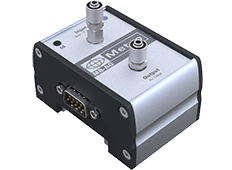 11µA or 1Vpp output signal. 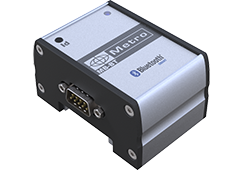 Module to connect 8 Sylvac or Bowers measuring instruments, wireless up to 15 m of distance. 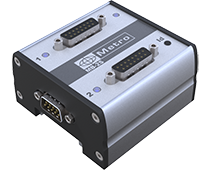 Compatible only with the M400 display unit. 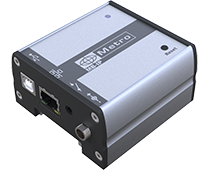 Allows to connect PLC peripherals to your M-Bus system. 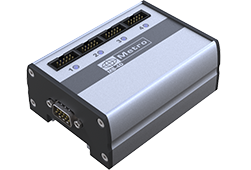 This module allows to plug measuring instruments (comparator, caliper, micrometer, weight scale etc...) from any brand (Mitutoyo, Mahr, Sylvac, Tesa...) to a display unit from Metro. 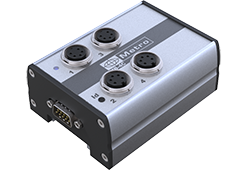 This module give aditionnal power supply when the number of modules used together is excessive.